Timing: from 10 a.m. to 12:30 a.m. This workshop is thought for sharing some important information that can be used for choosing, designing or making a didgeridoo. A unique workshop that goes deeply on solid basis, breaking wrong commonplaces and making you free to create or understand easily the playability and potential of your didgeridoo. Participants will receive a software that help to tune the fundamental and overtones of their own creations. This workshop will show acoustic experimental videos in order to make some theoretical topics clearer. Born in Turin – Italy, in 1977, is a didgeridoo player, maker, teacher and researcher. He hold several workshop about How to play and How to make didgeridoos from wood and fiberglass along 16 years of his career. He performed and hold workshops in many of the European festival during a sort of “Golden Age” of the didgerdoo. About his own technical background, he started studying physics during the technical college. 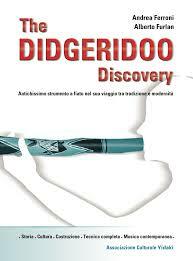 Then in 2002 he discovered the didgeridoo and he immediately started to collect information, made several tries using prototypes. Few years later he cooperated with the Physic department of the University in Modena and Reggio Emilia, Italy especially to analyze the acoustic phenomenon in resonant pipes with variable section. Then since 2010, Andrea is responsible for acoustic and vibration as well has static and structural FEM (finite element method) analysis for automotive applications. This sort of analysis can show and give back a better sensitivity to many aspects and collateral effects of the vibration and resonances. This permitted Andrea to develop a better understanding of what happen inside our beloved instruments. Last but not least, Andrea is not just involved in technical stuff only. His interests are many, from photography to home-made production of beer and cheese, and at the same time he is involved in self-help or discussion groups about relationships and communication, etc. etc. Duration is about 2.5 hours. 2 hours lesson plus 30 minutes for spontaneous questions. 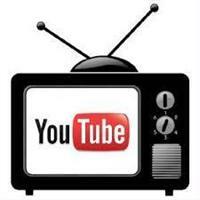 Name of participants and web-link of didgeridoo makers will be added together with the closing credits on request.